MANILA, Philippines – Whenever I rescue a stray kitten, one of the first things I do is to make sure that it is not sick. So, as a habit, I have the kitten checked by my regular cat village vet. I know that illness among pets can spread quickly, and since I live with dogs and cats, I always want to be sure they’re disease-free. But sometimes it can be quite difficult to stay on top of what’s best for our pets’ health and well-being. Here’s a list I have come up with from years of living with pets on how to keep them in tiptop shape. Just like us, our pets can get heart problems, develop arthritis, or have a toothache. The best way to prevent such problems or catch them early is to see your veterinarian every year. Annual vet visits should touch on nutrition and weight control as well as cover recommended vaccinations, parasite control, a dental exam, and health screenings. So many pets end up in shelters every year. Some are lost, some are abandoned, and some are homeless. As I have been told often enough, an easy way to avoid adding to that number is to spay or neuter your cats and dogs. It’s a procedure that can be performed as early as six to eight weeks of age. Spaying and neutering doesn’t just cut down on the number of unwanted pets; it has other substantial benefits for your pet. Studies show it also lowers the risk of certain cancers, and reduces a pet’s risk of getting lost by decreasing the tendency to roam. Fleas are the most common external parasite that can plague pets, and they can lead to irritated skin, hair loss, hot spots, and infection. Fleas can also introduce other parasites into your cat or dog. All it takes is for your pet to swallow one flea, and it can end up with tapeworms, the most common internal parasite affecting dogs and cats. Because some parasite medications made for dogs can be fatal to cats, it is always good to talk to the vet first about keeping your precious pets worm-free, flea-free, and safe. Overfeeding is the leading cause of obesity and keeping our pets trim can add years to their lives. Pets need far fewer calories than most of us think — as little as 185-370 a day for a small, inactive dog, and just 240-350 calories daily for a 10-pound cat. Yes, treats can be good for pets, but only if given in moderation. From my own experience I know that if I keep my dogs’ and cats’ weight in check they get sick less and are also more playful. For optimal health, pets need regular vaccinations against common ills such as rabies, distemper, feline leukemia, and canine hepatitis. Once a year for the vaccinations is a good measure. Pets need mental stimulation, which may mean daily walks for your pooch, and scratching posts, window perches, and toys for your cat. 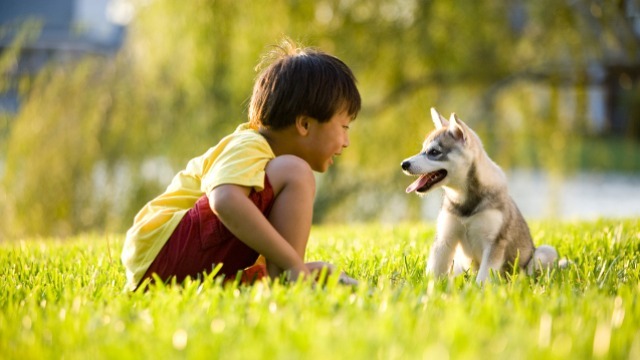 It means playtime with you, which not only keeps your pet’s muscles toned and boredom at bay, it also strengthens your bond with your pet. Never give pets people medication. Medicines made for humans can kill your pet. I learned that the hard way a few years ago. It was on the advice of a vet that I gave my dog Ibuprofen. The next day the dog died. It was only when I asked another vet what the cause of death was that I found out I had been wrongly advised. Ibuprofen and naproxen are the most common pet-poisoning culprits, but antidepressants, decongestants, muscle relaxants, and acetaminophen are just a few of the human drugs that pose health risks to pets. Human drugs can cause kidney damage, seizures, and cardiac arrest in a dog or cat. I have had many major and minor pet health concerns through the years. I have lost quite a few pet companions too. Each loss is always painful; this is why I have learned to make sure that I keep close tabs on the health of my pet companions. As any pet lover knows, we can detect when our pet companions are not feeling well because their lively behavior changes.